The massive Imperial Japanese Navy was formally abolished after World War II and was never revived. Modern Japan only maintains the so-called “Maritime Self-defense Force”. Japanese admiral Soemu Toyoda – the last commander-in-chief of the Imperial Japanese Navy, died on this day in 1957. Imperial Japan’s massive navy was formally abolished after World War II and was never revived. Modern Japan only maintains the so-called “Maritime Self-defense Force”, which are actually quite significant – they consist of some 100 ships and around 46,000 naval personnel. Despite having abandoned the name “Imperial Japanese Navy”, these naval forces are still mostly rooted in its tradition (they have even kept their old naval ensign, with its distinctive “rising sun” emblem). 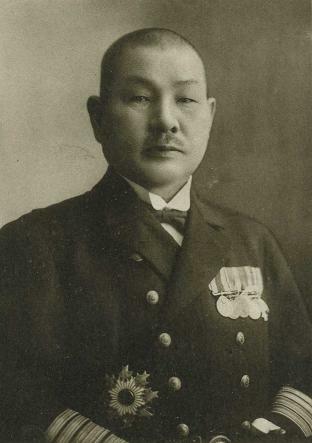 Soemu Toyoda was promoted to Admiral (Kaigun Taishō) on the eve of World War II. He held many important commands during the war. For example, he was the commander of the so-called Combined Fleet, the strongest force in the Imperial Japanese Navy (his predecessors were the famed Isoroku Yamamoto and Mineichi Koga, both of whom died in the war). Towards the end of the war, Toyoda also took the highest rank in the Navy – he became head of the Naval High Command. He commanded a vast naval force whose influence stretched from the Pacific to the Indian Ocean. Admiral Toyoda also automatically became a member of the Japanese Imperial General Headquarters and the Imperial Supreme War Council. 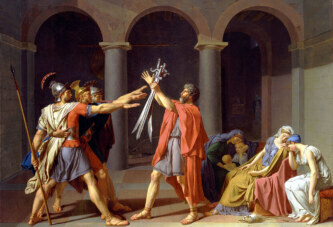 This made him directly answerable to the Emperor. There existed a strong rivalry between the Army and Navy in the Imperial General Headquarters. The generals of the Army considered the USSR to be Japan’s most dangerous enemy, while the Navy’s admirals considered the sea to be the most important theater of operations, and lobbied for increased investments in the naval air forces etc. After Japan surrendered, Admiral Toyoda was given a relatively lenient sentence. He was eventually released from prison, and lived to be 72. He died on this day in 1957, in Tokyo.